1st - 2017/18 Self Assessment payment now 30 days late = 5% charge on the tax owing on that day. 31st - Closing date to claim for the Winter Fuel Benefit for this year. March - Last minute tax planning. Double check you have availed of all relevant allowances/ exemptions for capital gains tax, inheritance tax, ISA's and pension. Check out our article on making the most of your annual allowances. Below dates relevant for Employers only. 1st - Last chance to pay any balance of 2018/19 tax and Class 4 NICs to avoid an automatic 5% late payment penalty. 1st - New advisory fuel rates for users of company cars effective from today. 19th (22nd if paid electronically) - PAYE, Nat. Ins.,Student Loan & CIS monthly deductions due. Last day to send in Employer Payment Summary's (EPS) for month ended 5th March. April 2019 - End of Tax Year - Use up your allowances! 5th - Last chance to use up any unused pension allowance from 2015/16; or to claim back any overpaid tax from 2014/15; or to top up your NI contributions for the sake of your state pension for 2012/13. 6th - HMRC issue Self Assessment Returns and Notices to Complete a Return for the year to 5 April 2019. 30th - Last chance to avoid the £10 a day additional penalty on outstanding 2017/18 Self Assessment tax return. 6th - Employers must check their payroll software incorporates the 2018-19 changes from today. Also make sure any relevant changes to employees tax codes for the 2019/20 year have been made. 19th - Your final Full Payment Submission (FPS) for the 2017-18 year should be returned by today. 19th (22nd if paid electronically) - 1st quarter PAYE/Nat. Ins. payments due for period 6th Jan to 5th April 2018. 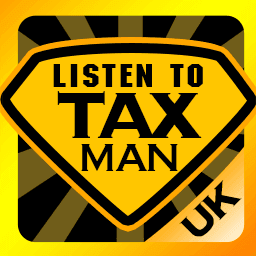 19th (22nd if paid electronically) - PAYE, Nat Ins, Student Loan & CIS monthly deductions due. 19th (22nd if paid electronically) - Interest is charged on any outstanding PAYE/CIS from 2017/18. This article was published in our Tax Calendar section on 01/03/2019.